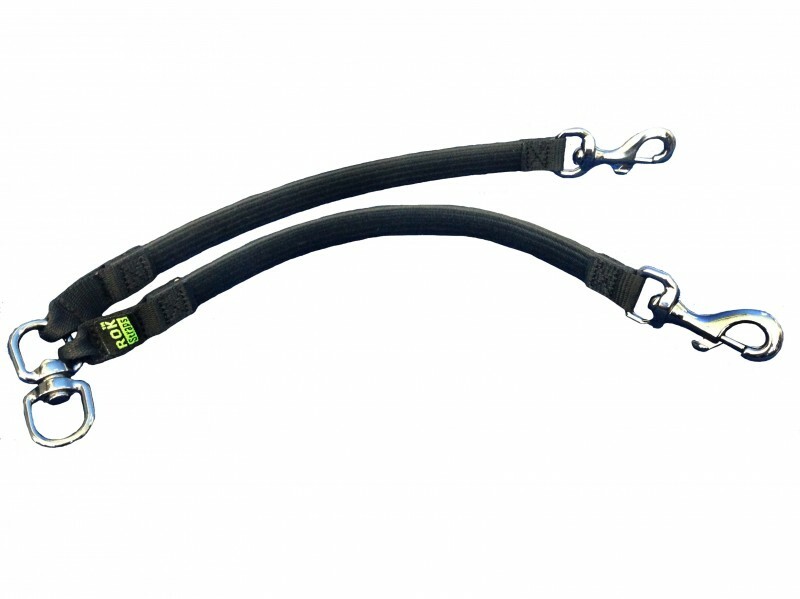 These leads have a unique stretch formula that avoids the sudden jolts, giving minimum recoil but keeps you in control at all times. 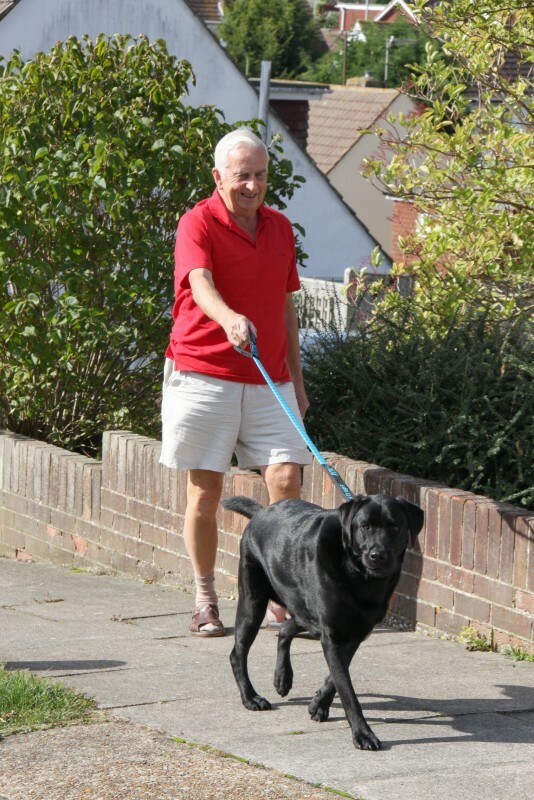 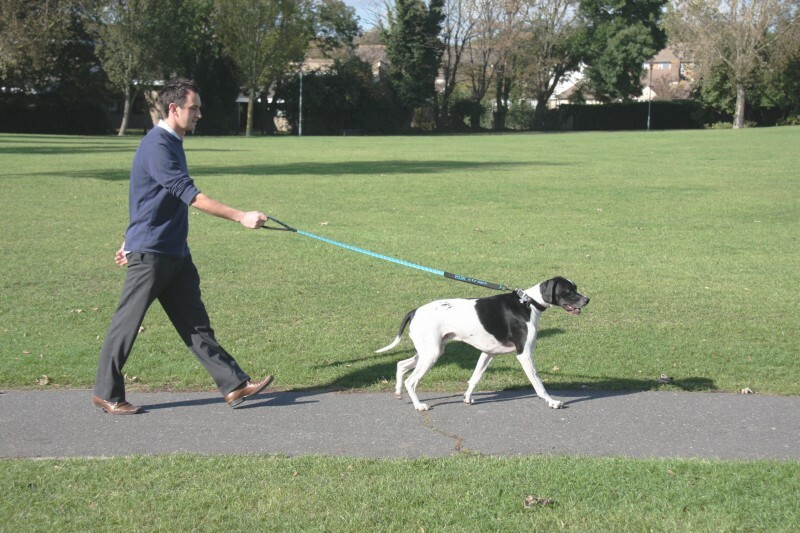 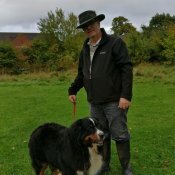 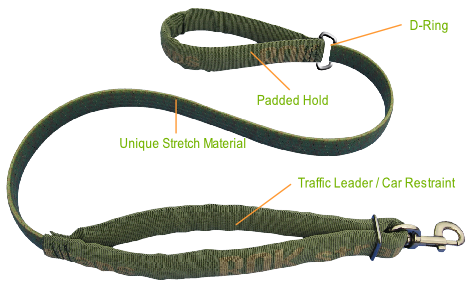 The unique construction of this lead means that it provides just the right 'give' to avoid jolts on your dogs collar and neck and the non-stretch handle / traffic leader means that you have instant close control when you need it. 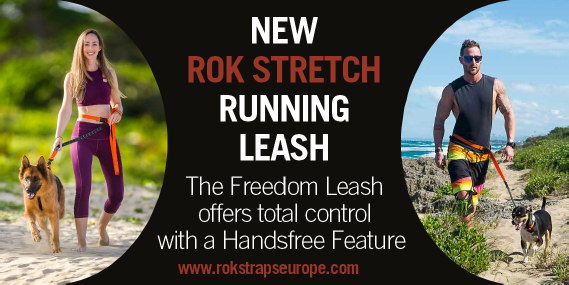 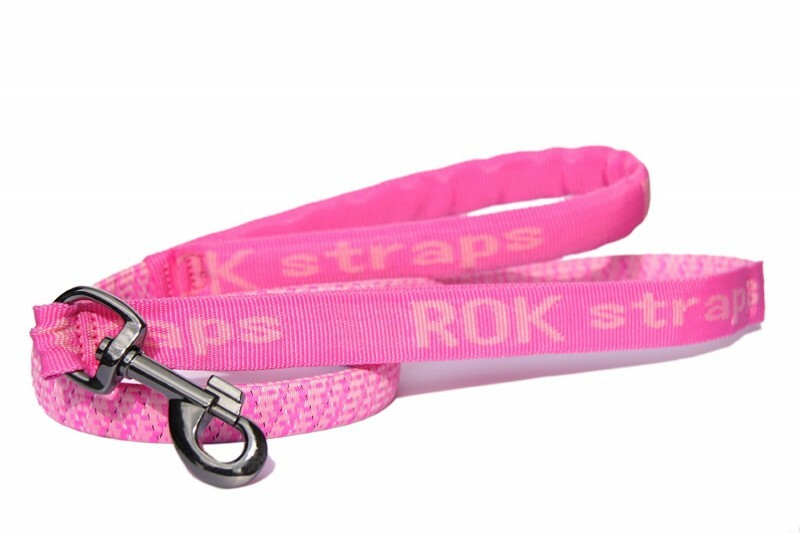 The new ROK stretch running leash offers total control with two built in hand holds and a hands free no jolt running feature. 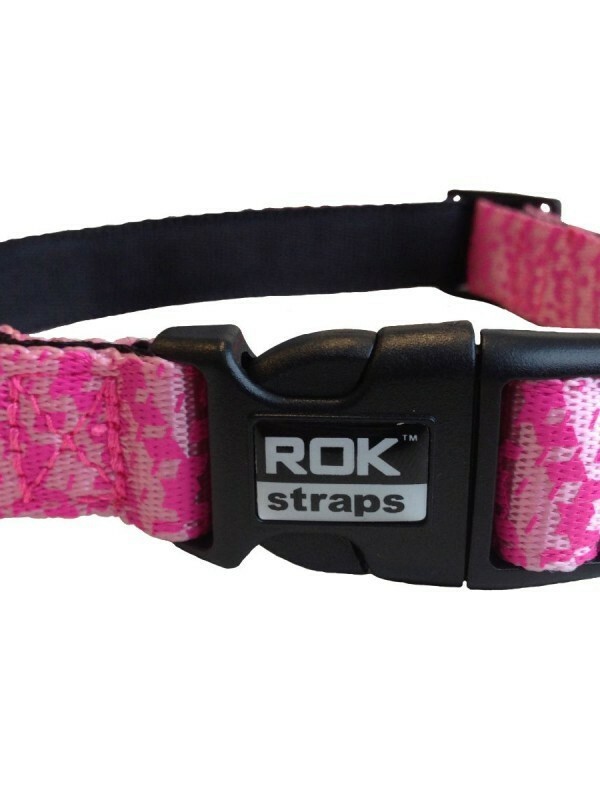 Fully adjustable belt, one size fits all. 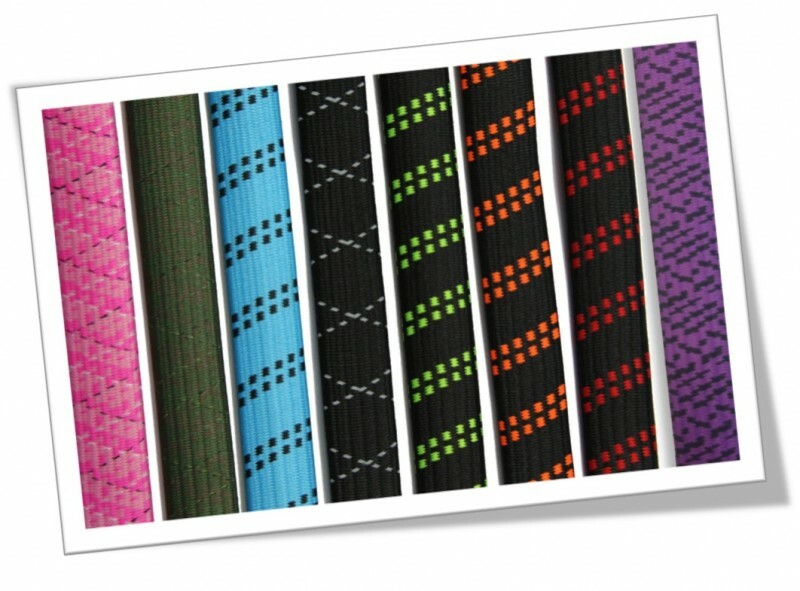 They have just enough stretch to avoid jolts, padded hold-loops for comfort and come in a modern, stylish design and colour range. 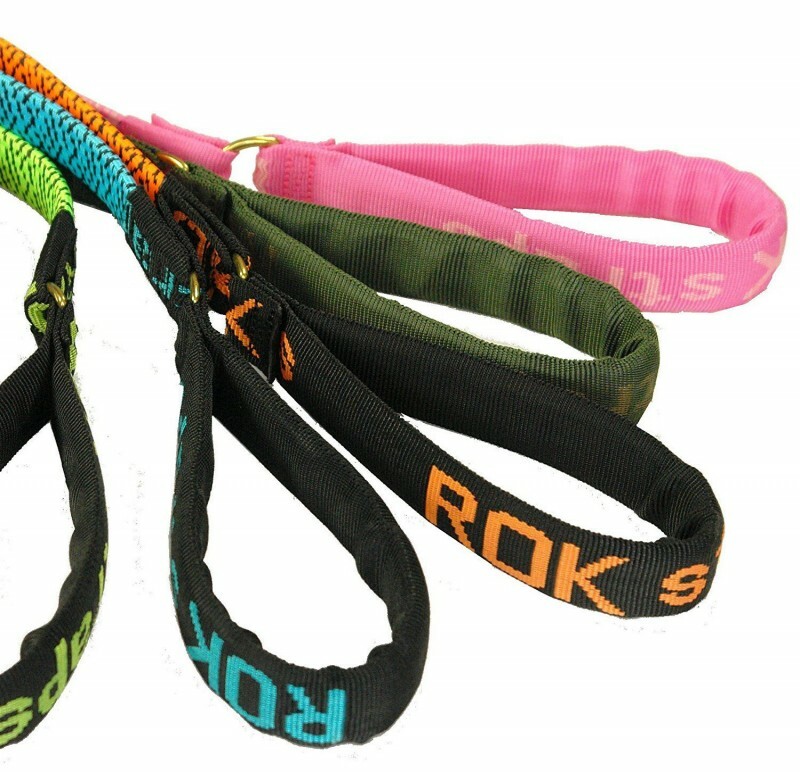 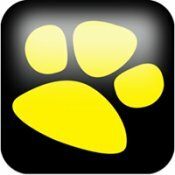 Unlike recoil leads, ROKS's progressive tension signals your pet to stop - without the jolt. 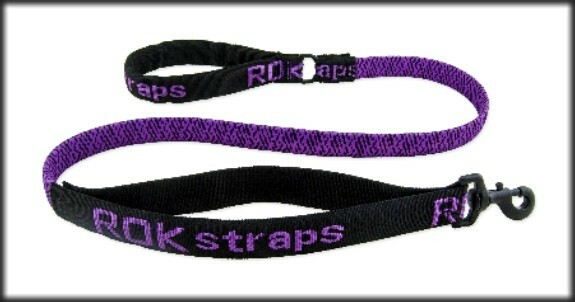 With a solid rubber core and nylon outer braid they are extremely chew resistant. 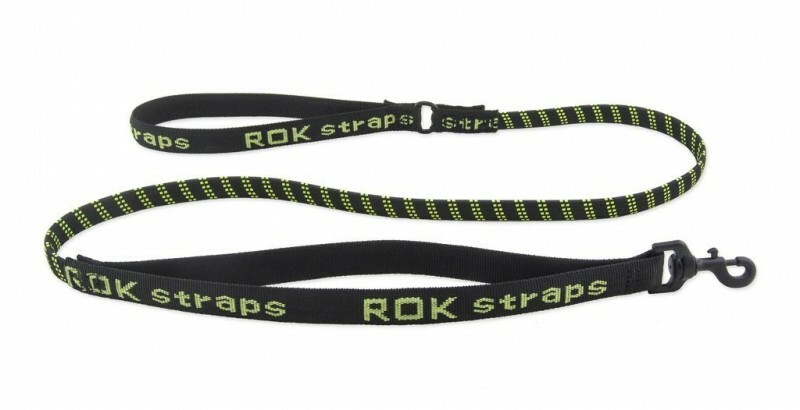 Unlike recoil-leads, ROK's progressive tension keeps you in control - instantly. 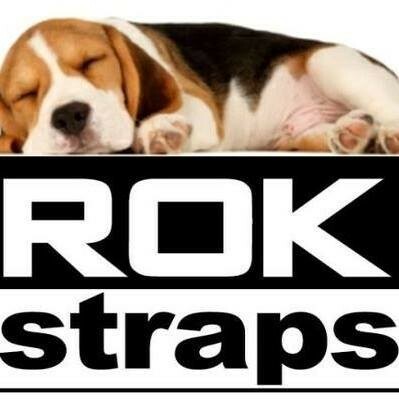 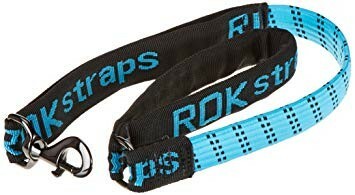 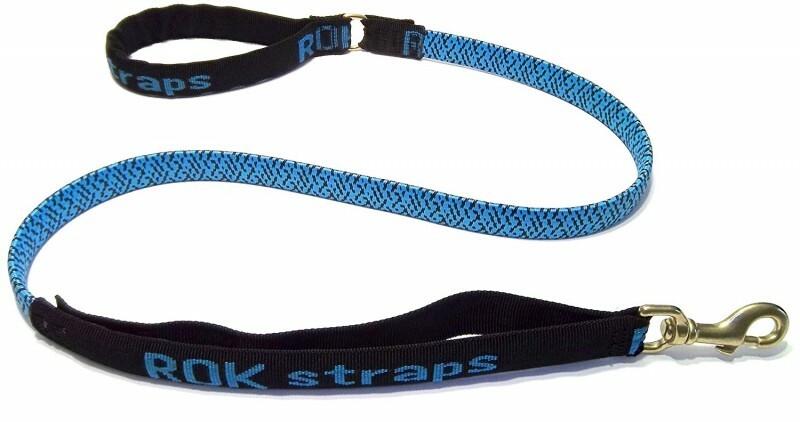 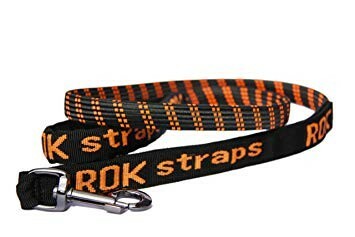 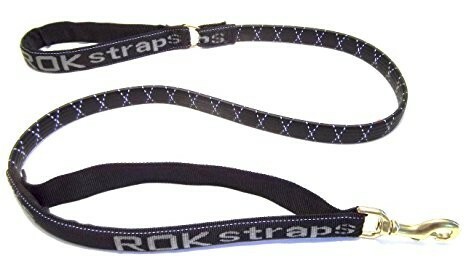 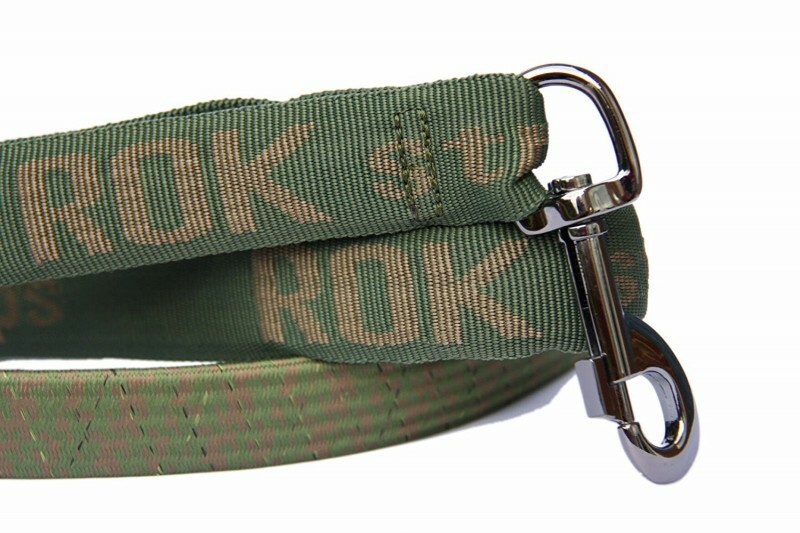 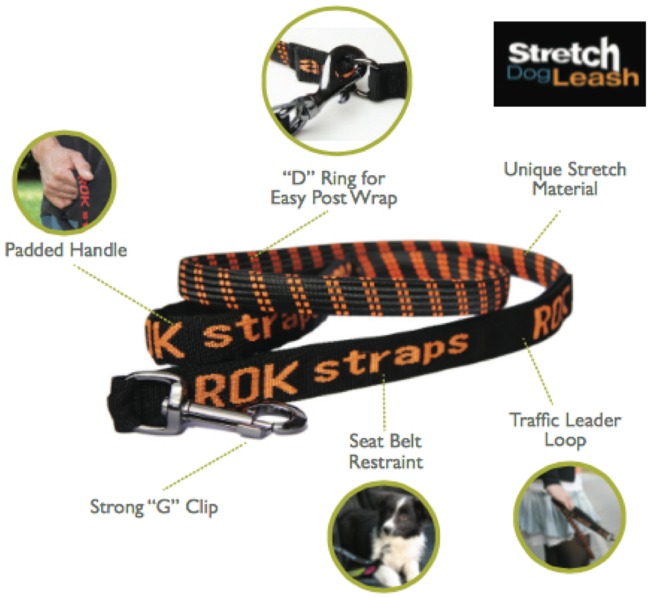 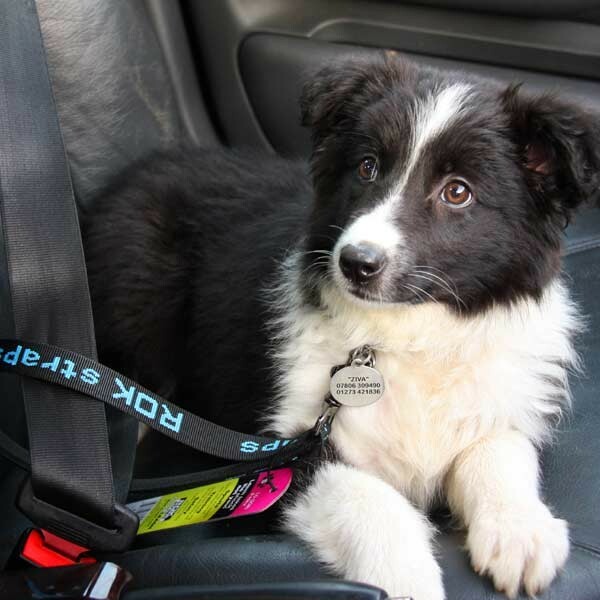 ROK Straps have a built-in traffic leader and car restraint. 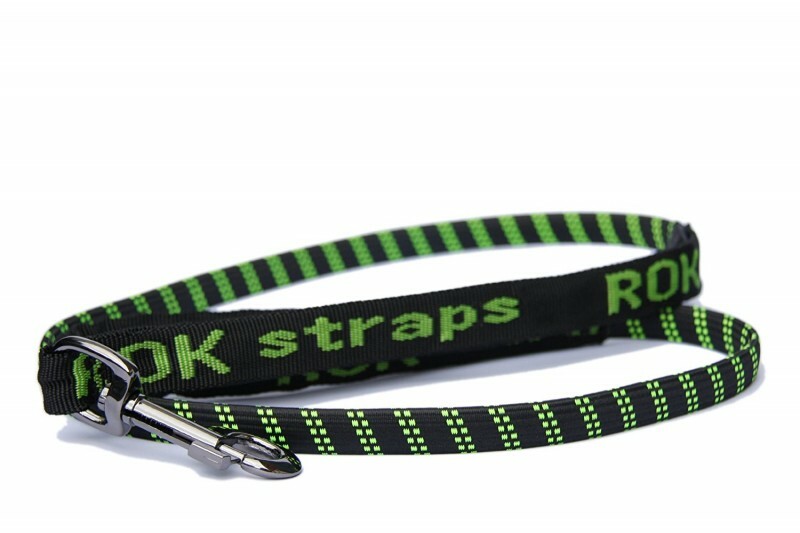 Less jolts on you, and your pets collar and neck with minimal recoil if released. 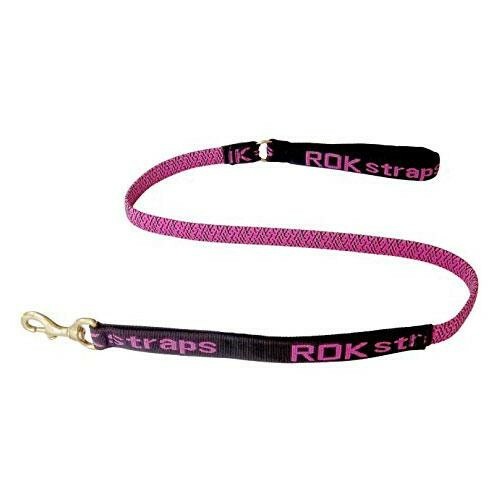 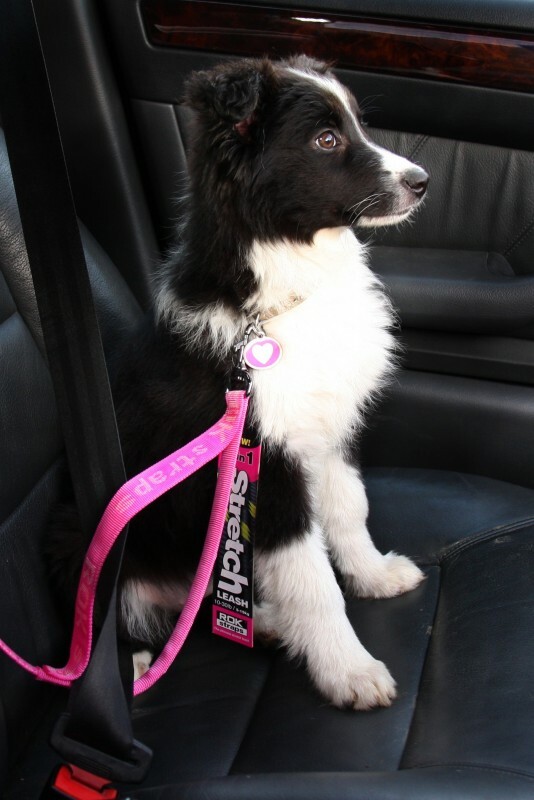 Designed to look great the leads and collars are available in a range of colours and sizes. 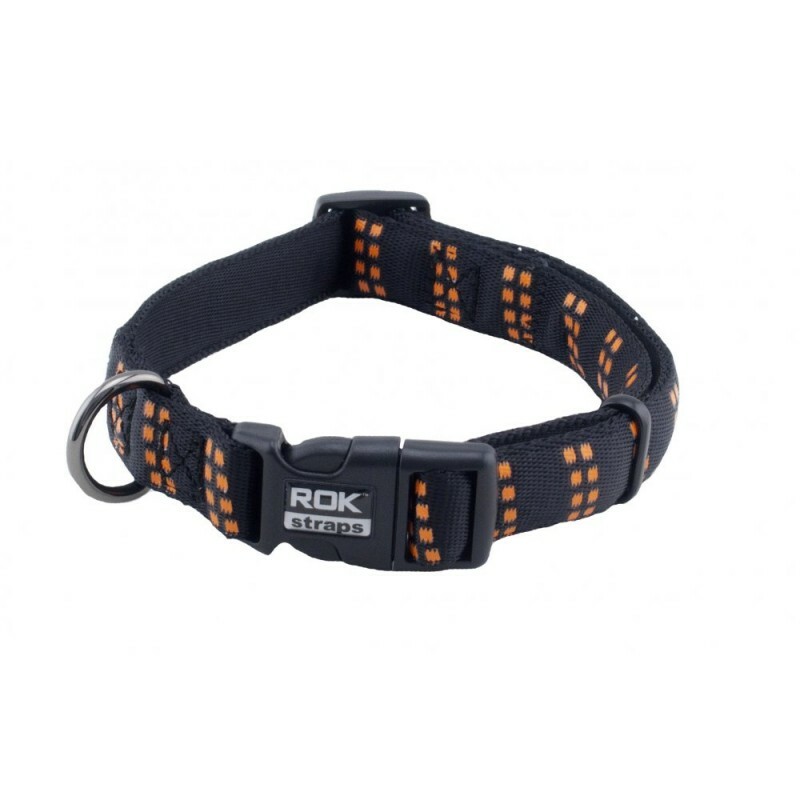 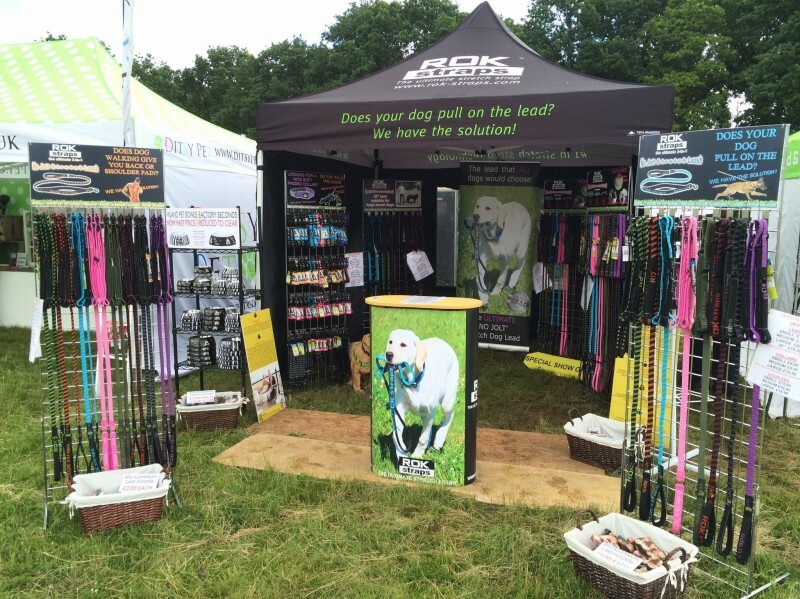 Designed to match your ROK lead, the collars are non stretch with a polyester outer braiding a soft padded inner with durablewhich is more comfortable for your dog and also features a strong plastic quick release buckle. 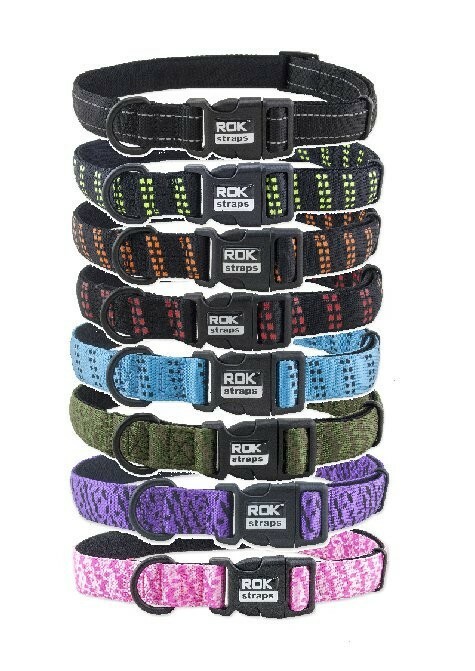 Small 10-16" • Medium 14-20" • Large 18-26"
Black and Black/Reflective. 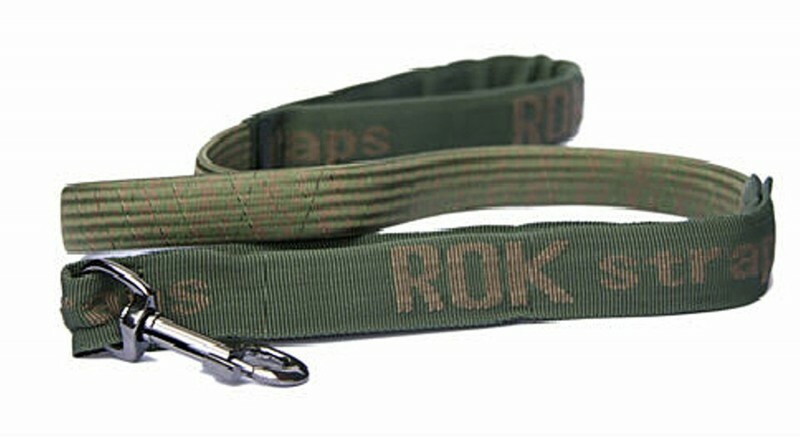 They are made with strong natural rubber and nylon webbing which like the ROK Leads provide progressive tension. 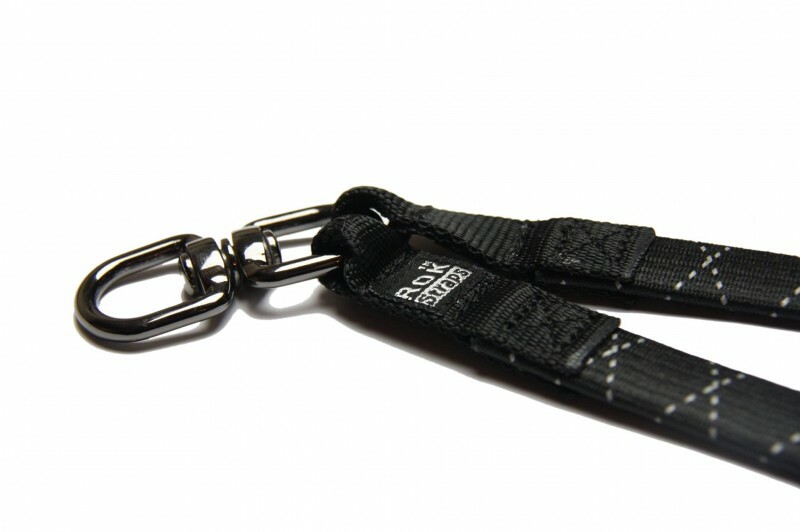 There are 2 spring loaded trigger hooks and a swivel hook so that you can attach your lead.